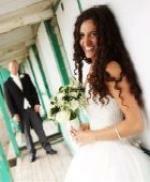 If you are thinking of getting married and would like a 'church wedding' why not contact us. Before any decision is made, you can have an informal chat about what you want and whether we can provide it for you. We have a registered building and are able to conduct the complete wedding. We try to keep our fees as low as possible because we believe that marriage is good for you and for society. We want you to have a special wedding that is affordable.